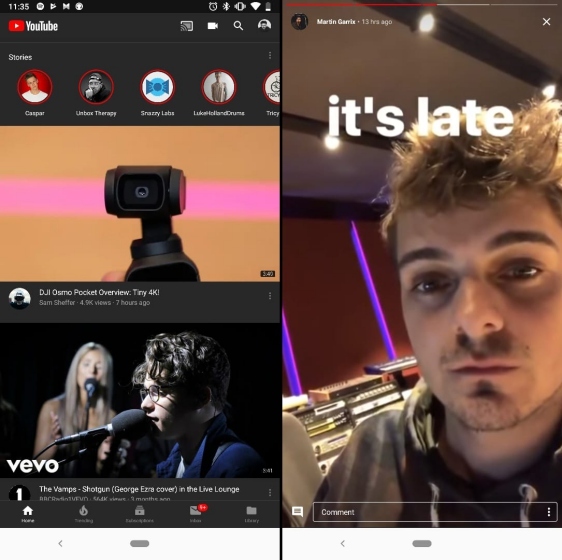 Banking on the hype of Snapchat and Instagram Stories, YouTube introduced its own iteration of the Stories format some time back, but they had been restricted to select content creators on the platform. 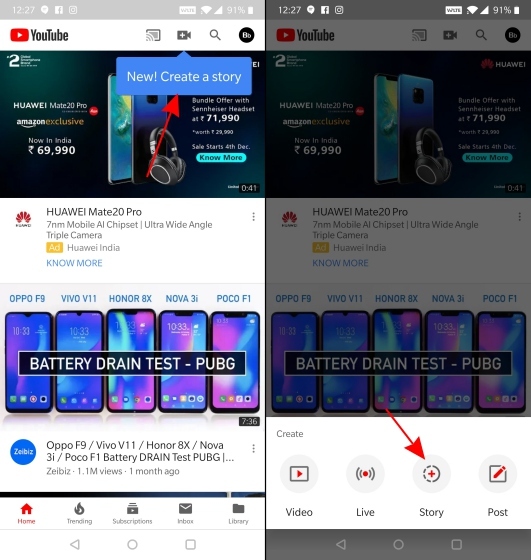 Well, YouTube Stories is now expanding beyond testing phase to now become available to creators with more than 10,000 subscribers. The core idea is to give creators another medium to engage with followers, and it also reduces the pressure of producing high-quality videos every other day, which has seen some creators getting burnt out. Eligible creators can now share tidbits and highlights from their daily lives, or from ongoing video edits and production, which can be easily shot on any smartphone, without needing specialized equipment. Well, if you’re haven’t got a taste of YouTube Stories yet, we’ve attached a couple of screenshots below to give you an idea of . The UI holds an uncanny likeness to Instagram Stories and there’s no denying that because you see circular icons at the top of the Subscription box (as well as suggestions in your home feed). You can tap on the Stories to play or tap on the left or right during playback to jump to the previous or next one. While YouTube may have taken inspiration from rivals, the feature looks half-baked in its current state and limits the use-case for creators. 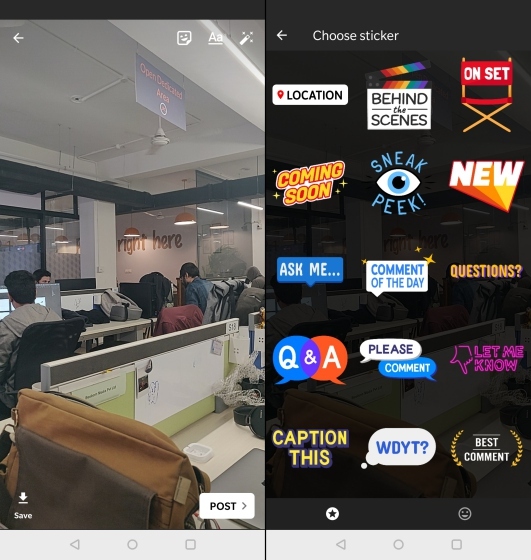 At the moment, you can jazz up stories with text and stickers, but you can’t add links to other websites or your videos, and neither can you mention other users. Well, let us turn our attention to the creators now and help them out with the YouTube Stories creation process. If you’ve got more than 10,000 subscribers, then this feature should be making its way to you right now and it’s really easy to use. 1. Open the YouTube app and it will show a prompt if you’ve got the feature. If it doesn’t, simply tap on the ‘video camera’ icon at the top to see the ‘Story’ option. 2. 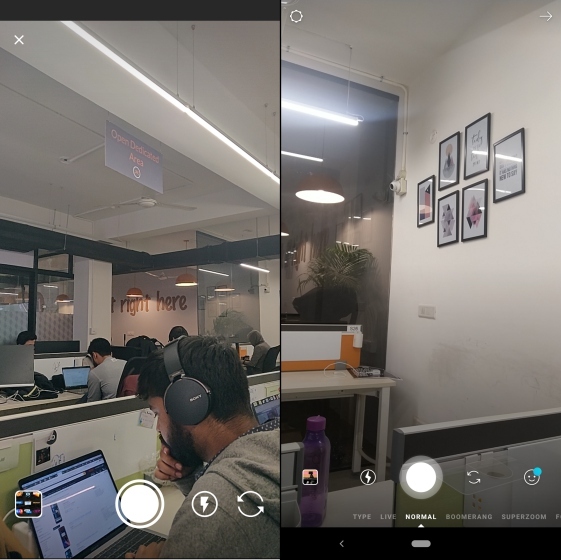 Tap on the ‘Stories’ option, give the app the necessary permissions, and you’ll be greeted with a camera UI similar to any other app that has the Stories feature. 3. Just snap a picture or select one from the gallery and you can then add text, sticker or other effects to the story and hit “Post” to share it with your subscribers. That’s it. One-upping Snapchat, Instagram Stories has generated a ton of attention and let creators make exclusive content. Instagram Stories is where the action is at these days. YouTube Stories is looking to emulate the same success with its Stories feature, and if scrolling through your subscriptions or trending tab is getting boring, Stories might rejuvenate your experience. Some may say YouTube Stories is coming too late, but it would definitely gain momentum from creators who have made a living off YouTube. It gives them another nifty way to interact with the users and keep them engaged. So, do you think YouTube Stories is a good idea? Or is it better to stick to Instagram? Do let us know your opinions in the comments section below.